Many times in the last year I have seen patients suffer from inappropriate medical decisions. Metastatic cancer patients who receieve aggressive treatment despite of the physical, emotional and financial costs associated with it. A 94 year old post stroke brain dead patient being kept alive in the ICU by a ventilator and triple-pressor support because the family did not want to withdraw care. Dieing can be a messy thing. 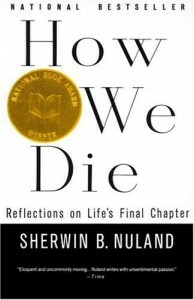 In undergrad, I read a book titled “How We Die“ by Sherwin Nuland, a physician practising at Yale, that challenged many of my pre-med notions of death. Particularly, it helped me understand how little mastery we have over our mortality and that death is a natural process of life. People are always eager to tell you how we should live but few broach the topic of how we should die. One of the tasks we do as a medical student whenever we admit a patient is to determine their code status. We ask questions that people are unfamiliar with. What should our medical team do if anything was to happen to you. If your heart stopped beating, do you want us to perform CPR? If your lungs stopped breathing, would you want a tube passed through your throat to help you breathe? 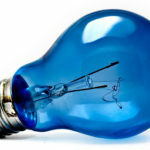 Discussing code status is an often misunderstood topic. Many patients and families find it difficult to approach the subject. Does this mean the medical team is giving up? Does it mean the patient won’t receive any help if anything was to happen? What the patient and their families often fail to understand is the difference between quantity and quality of life. Many times in the course of a disease, our medical interventions cross over from benefiting the patient to harming them. During my Internal Medicine rotation, an attending taught me to be specific with my do not resuscitate orders. Explain what each aspect of their code status meant and clarify each point. No CPR, No ICU, No Intubation, No Heroic Measures. 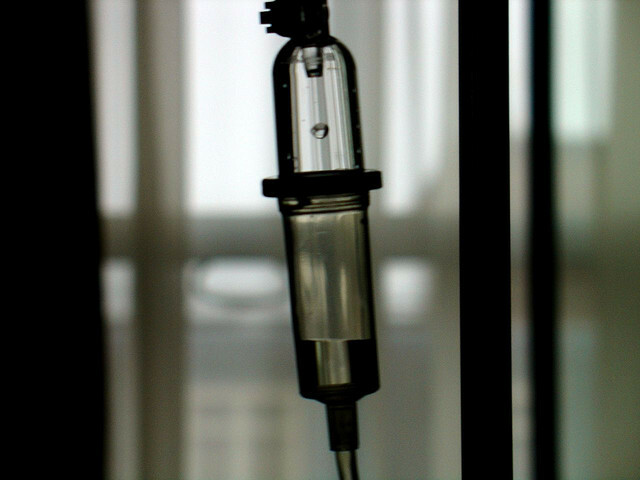 Death is a terrifying event for patients and their families. I know my views on it have changed this last year after repeatedly seeing death firsthand. What I’ve learned is that we shouldn’t be afraid to talk about death. As health care workers, we spend most of our time talking about possible treatment options, even when there is none left. We don’t spend enough time explaining realistic outcomes to patients and discussing what their final wishes will be. Are we continuing treatment for the benefit of the patient or are we causing suffering to spare the emotions of those that are living. Becoming a doctor is more than just learning about how to save lives. In the process, you learn to respect human life and the complexities associated with it, and you begin to understand the possibilities and limitations of our art. I remember witnessing the death of my uncle. It was so sad and give me the goosebump. It was just reminding me to my own death. How will I die? I hope I’ll die with smile. Absolutely wonderful post! I had an attending on IM teach me similarly, and to this day, I’ve tried to be realistic with my team’s expectations for therapy. What do you think about healthcare making physicians almost *too* impervious to the implications of death? I think we too often view death as a failure on our part instead of acknowledging that it as much a part of life as the sicknesses we treat. People don’t understand the limitations of our health care system, and until they haven’t seen as many “bad” deaths as physicians have. Taking time to explain to patients their illnesses and implications on their quality of life is a good start to initiating discussion on death and a patient’s final wishes. If I were to read this post two years ago, I don’t think I would have been very receptive to it. Though, after death has been creeping up left and right, greeting very important members in my group of family and friends, I’ve been gradually coming to terms with it. That death, like you mentioned, is a natural process. Thank you for your post and book suggestion.